Retailers of all types—mass merchandisers, department stores, specialty stores or general merchandisers—face increasing competition, shrinking margins, a stronger demand for better customer service and more accurate inventory management. If inventory is out of stock, customer satisfaction and loyalty are at risk. Product availability is a significant factor in customer satisfaction and loyalty. More efficient mobile solutions allow you to improve accuracy for better customer service, while real-time inventory management reduces out-of-stock situations, inventory loss and improves profitability. Consumers are likely to switch retail stores after experiencing out-of-stock items just two or three times. Enhance customer service and empower your associates on the selling floor and in the warehouse by adding voice to your devices—without cellular contracts or coverage issues. Limited visibility of warehouse inventory leads to inadequate stocking levels, which translates into missed opportunities and lost sales. Conversely, overstocking and obsolete inventory leads to excessive capital requirements that can reduce profitability. Scanning, on-the-spot labeling, price auditing, markdowns and promotion execution are some of the inventory management applications retailers can run more efficiently using mobile technology. 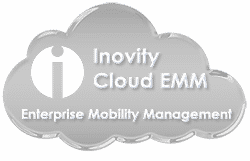 Inovity specializes in mobility solutions and inventory management solutions for retail. Using powerful, easy-to-use mobile computers, wireless infrastructure, mobile printers and inventory management software, we can help you control your store and warehouse inventory—so they don’t control you. Maintaining accurate inventory is at the heart of retailing. An accurate, real-time view of inventory is imperative for meeting sales goals, preserving margins, and meeting the expectations of your customers. With automatic data collection and management tools from Inovity, you can monitor inventory levels, increase and protect profitability, enhance customer service — and increase sales. Is your retail operation as accurate and efficient as it could be? Contact Inovity today to schedule a free needs analysis. We can take your store—and your profits—to a whole new level.